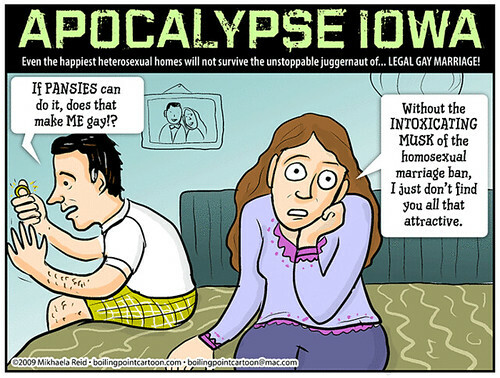 Boiling Point Blog: Feminist, LGBT and progressive political cartoons: Toon: Apocalypse Iowa! Even the happiest heterosexual homes will not survive the unstoppable juggernaut of... LEGAL GAY MARRIAGE! This is far, far better than what I've seen from many "professional" editorial cartoonists. Nicely done. Toon: The Florists' Rights Movement!